The Great Frost, Fairhaven 1929. 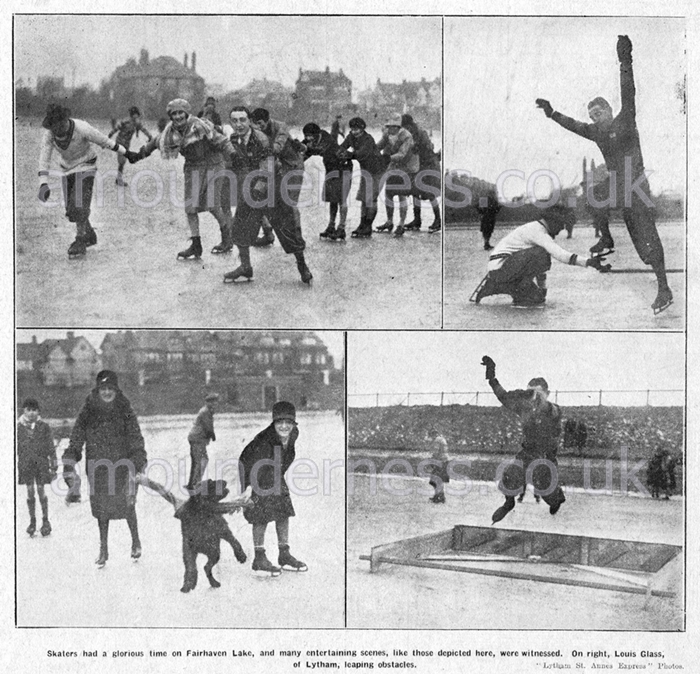 Ice skating on Fairhaven Lake during the Great Frost of 1929. On the right is Louis Glass of Lytham, leaping obstacles.